The world of bow hunting is full of variables. This is without a doubt part of the allure of the sport for those of us who love to tinker. Not only are we spoiled with the numerous brands, but we also can ustomize that equipment to fit our hunting style. Arrow weight is a contested idea that receives a lot of scrutiny from various members of opposing ideologies. We’ve all read or had conversations with individuals at both ends of the spectrum arguing that “speed is king!” or the opposite “I’m only interested in two holes.” Like most subjects, personal preferences are subjective but more likely the truth falls somewhere in the middle. I have to admit when I first began building my own arrows I had one single focus, how fast can I get this thing going down range. A tried and true hunting setup for me was a Gold Tip Pro22 with a 125gr Slick Trick Magnum being shot out of a 70-pound Bowtech Destroyer 350. This thing was screaming down range and as much as it pains me to admit this, was highly effective at harvesting whitetails. I was young and couldn’t afford a high-quality rangefinder yet and my interests in shooting IBO events lead me to the “speed game”. 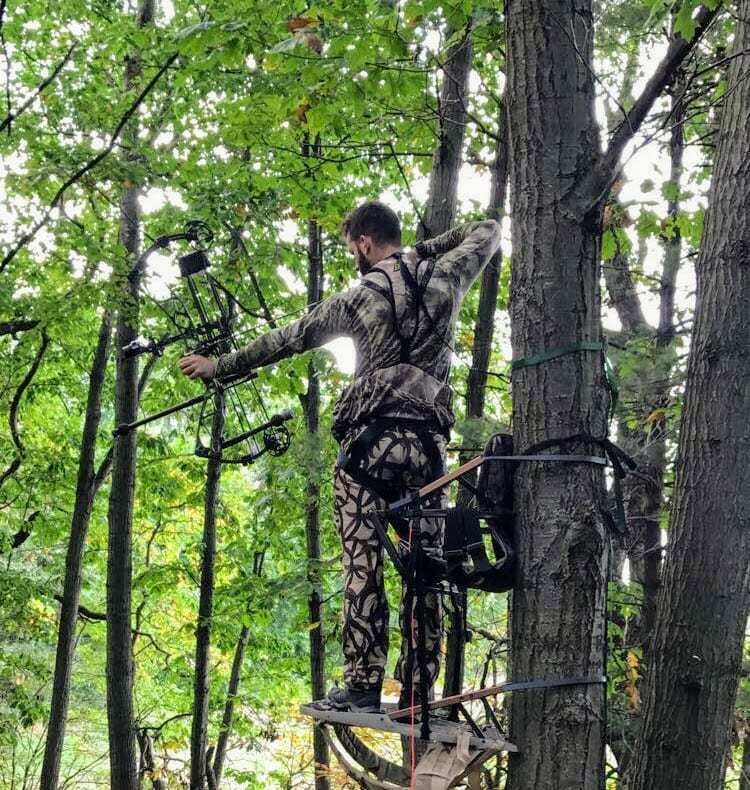 Admittedly I didn’t apply much logic to my setup outside of bragging rights to my buddies, and the positive feedback I was receiving from the whitetails that were victims to the setup gave me no reason to change. I didn’t own a chronograph at that time in my life, but I’d guess my hunting arrows were moving at around 320 fps. What I found was this setup was notorious for needing to be tuned regularly, which was one of the reasons why I ended up moving away from this sort of ideology. My theory on why this setup needed to be put in the bow press so regularly is based in physics. When discussing arrow weight we see people typically falling into two camps, one camp being Kinetic Energy and the other being Momentum. Both of these groups are attempting to find the “holy grail” of either ft/lbs or N/m2 required to sufficiently kill their quarry. 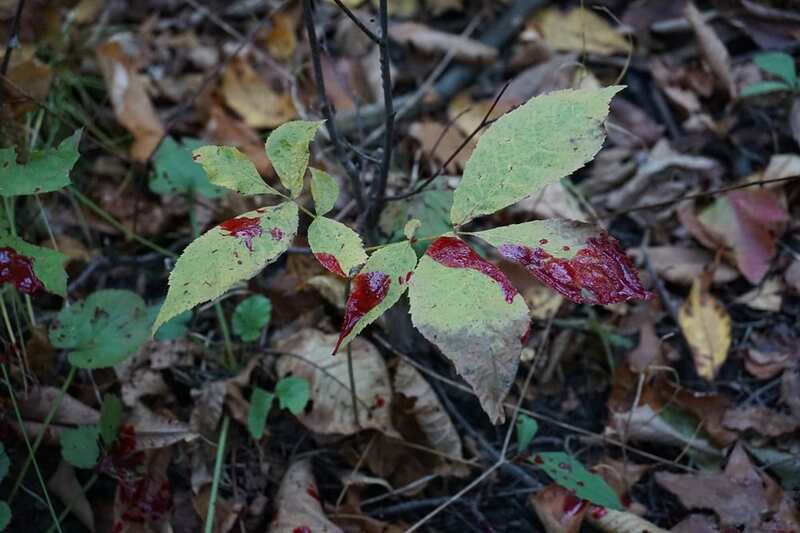 However, we seldom hear about the idea of Impulse when discussing bow hunting, and if we do, it typically revolves around arrow penetration and not the impulse of the bow. Impulse in the most basic idea is the amount of change in momentum multiplied by the amount of time it took to make that change occur. We all understand that heavier arrows travel at much slower speeds than lighter arrows assuming they are both shot from the same bow. However, with that heavier arrow traveling slower, this means that it also stays in contact with the bow for a slightly longer period of time than that of the lighter arrow. The more time the string is in contact with the arrow, the more energy the bow is able to transfer to the arrow and the more efficient your arrow setup is going to be. Putting aside the arguments of whether or not the string being in contact with the arrow for longer periods of time is a good thing or not for accuracy, what this led me to believe was there was some energy that was not being absorbed by the light setup I was running. I surmised that if the bow was generating the same amount of energy each time, and the arrow wasn’t absorbing as much as possible, then the strings, cables, limbs, etc. were absorbing the rest. This is why we all witness the quieting effects that heavier arrows seem to have on our bows. 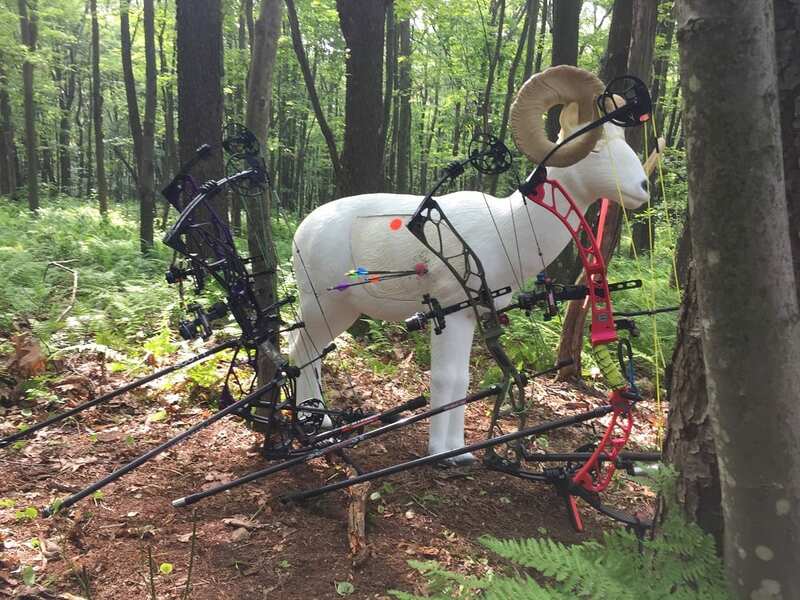 The further I moved through my archery career, the more setups I experimented with, and I began to find what worked for me. For whitetails, I felt there was a sweet spot somewhere near 440-grains that would provide me with adequate flight characteristics, speed, trajectory, and penetration. This thought process was still lacking much science and was built completely on feel, but again when you’re filling the freezer most people don’t see a reason to change. When I became serious about hunting larger game, I also became serious about fully understanding my arrow setups and why I was going to select the arrows that were to be used. To lay the groundwork, my hunting bow is an Elite Revol, which at 70 pounds and a 29” draw length generates more than enough energy to harvest anything on this continent. I shoot a single pin CBE Tek Hybrid Pro which more often than not has an established zero of 30 yards. For my hunting style, I prefer an arrow to be as heavy as possible while still giving me plenty trajectory “forgiveness” to harvest animals at 20 and 40 yards without having to dial from my 30-yard zero if I don’t have time. This is simply my model for building a hunting setup, and while it does not make it gospel, it does seem to work for my style of hunting. In identifying an arrow weight, I first take a look at my speed. I know from experience that any arrow that falls lower than 285 fps and higher than 265 fps is going to be the easiest to tune without sacrificing much trajectory loss. I have noticed with shooting fixed blades that there is a threshold where you’re no longer gaining “tune-ability” below 275 fps; at these speeds all fixed blade broadheads out of my setup seem to fly extremely well. In looking at the trajectory, I normally ignore the 20-yard distance as the amount of positive trajectory is always going to be less than the negative trajectory associated at 40 yards. For my current setup, I am shooting a 500-grain Day Six Gear HD at 272 fps. What I love about this setup is that I am able to build an arrow that is heavy enough to meet my criteria without having to spend time worrying about adding weight modules or things of that nature. The heavy shaft weight makes up the bulk of the arrow’s weight while the point, insert system, nock, and vanes do the rest. While maintaining a 30 yard zero, my trajectory loss at 40 yards is around 10 inches and my gain at 20 yards is just less than five inches. When you take into consideration the average size of most big game animal’s chest cavities, this trajectory seems to work quite well. There are numerous ballistics calculators available online to give you a baseline understanding of what your trajectory may be, but the best way is to shoot your bow to establish a 30-yard zero and then move up to 20 and back to 40. All this while shooting with the same pin to see how high and low your impacts are from the 30-yard zero. As it stands right now, the bow hunting community has very few competing theories on how much arrow weight is required to humanely harvest an animal. 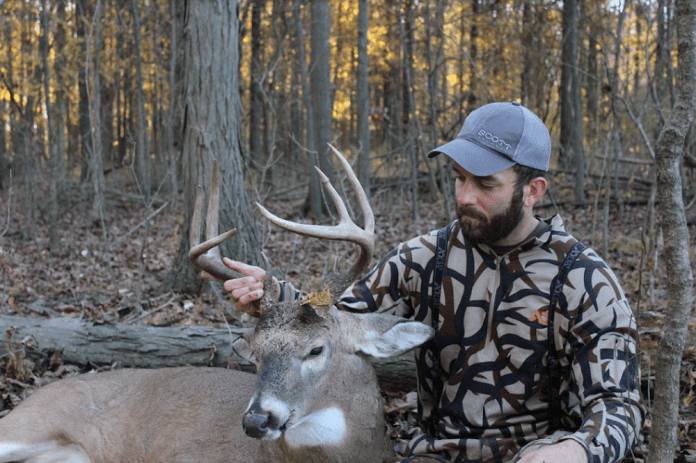 There are a lot of opinions out there as to what weight is appropriate for certain species, but these opinions simply cannot account for all of the variables that take place during hunting conditions. We all have our opinions on what is heavy enough or what we might scoff at in terms of arrow weight for hunting big game. 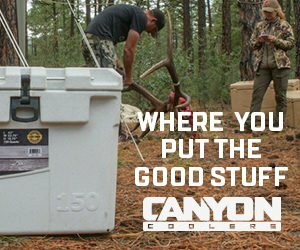 We frankly have no realistic measure of the “coefficient” of resistance an animal places on an arrow and when you begin to take into consideration broadhead designs, the number of bow models, draw lengths, arrow weights, variability in animal anatomies, etc., we begin to understand why so much of this has been done by feel. While the majority of my hunting time is spent chasing eastern whitetails I have been fortunate over the last few years to begin to incorporate elk and antelope into my western hunting diet. Because of my current mixed bag opportunities, I have settled on an arrow weight range that is between 485gr-525gr with my current 502gr falling in the middle of that range. These arrow weights satisfy my trajectory criteria for yardage forgiveness from a tree stand and on longer shots such as those are taken on much western game. They also have a proven track record for being heavy enough to provide adequate penetration when it arrives on target, when coupled with well built broadhead. However, at the end of the day I am attempting to satisfy my own confidence in my setup which is key to success in any venture. There are many factors to take into consideration when building arrow weights, the journey of bow hunting is learning what works best for you. You can comment on this article or ask Daykota questions here. Read Daykota’s first article in this series here Arrow Dynamics: Sensibly Choosing FOC. 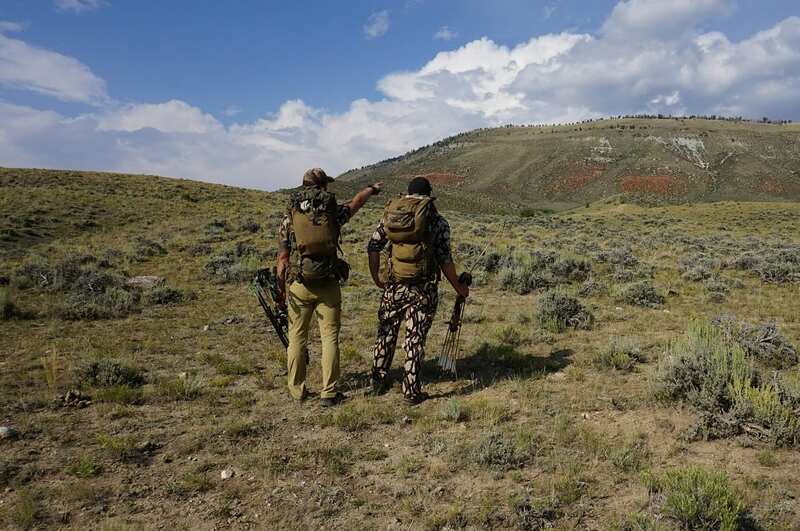 For more resources on this subject, check out the following podcasts: John Stallone’s Interviews with the Hunt Masters and Aron Snyder’s Kifarucast. Each podcast offers differing views on the subject of arrow weight.